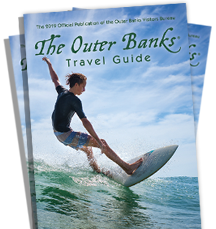 Are you looking for the best way to get around the Outer Banks? Check out our local modes of transportation. No matter the occasion we have the perfect vehicle for you: whether it’s for an OBX history tour, an overdue family vacation, the ultimate wedding party or just a night out on the town we have you covered with buses, trucks and cars. Now it’s time to cruise to the Outer Banks and ride around with us!